Crown Realty wishes you and your family a fun & safe Independence Day! *Please note that dates & times are subject to change, and all activities are weather-permitting. If the event has a website, we have provided it below. Fireworks @ Lake Miola – Paola Gates open at 4:30, fireworks @ dusk. 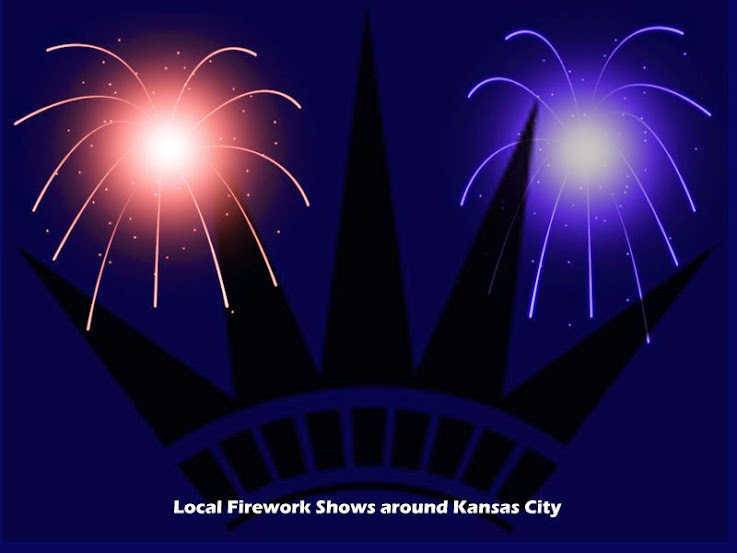 19th Century Fireworks @ Mahaffie Farmstead – Olathe Celebrate the grand opening of the Olathe Community Center and end the festivities with 19th century fireworks at Mahaffie Stagecoach Stop and Farm at 9:30pm. Special activities take place at 4:00pm and 1860’s living history occurs all day. The Olathe Civic Band plays at 7:30pm followed by special music and a reading of the Declaration of Independence. Legacy Blast Fireworks Extravaganza @ Legacy Park (NE Legacy Park Drive Lees Summit, MO). Food vendors, entertainers & inflatables will be on site before the fireworks. Bring the family & blankets for fun under the stars and of course a fireworks display choreographed to music. Booms & Blooms Festival @ Powell Gardens (1609 N.W. U.S. Highway 50 Kingsville, MO). Celebrate Independence Day with Powell Gardens’ dazzling display of hundreds of daylilies, a daylily sale, children’s activities and music. Don’t miss Lee’s Summit’s School of Rock in concert from 4:30-6:30 p.m.! The Lee’s Summit Symphony performs at 7:30 p.m. followed by an extraordinary fireworks display over the Gardens’ 12-acre lake. Bring lawn chairs or blankets. Picnics are allowed on this day, or food and drink is available to purchase. (No outside alcohol is permitted.) Festival admission applies: $12/adults, $10/seniors and $5/children ages 5-12. Star-Spangled Spectacular @ Corporate Woods – Overland Park Events begin at 4pm. Food & beverage vendors, activities for kids, music. Fireworks & Live Music @ Celebration Park – Gardner Live music starts at 5:30, food vendors. Fireworks @ Forest Park – Ottawa 9-10pm The Ottawa City Band will entertain before!